Try a baby food freezer tray for free! 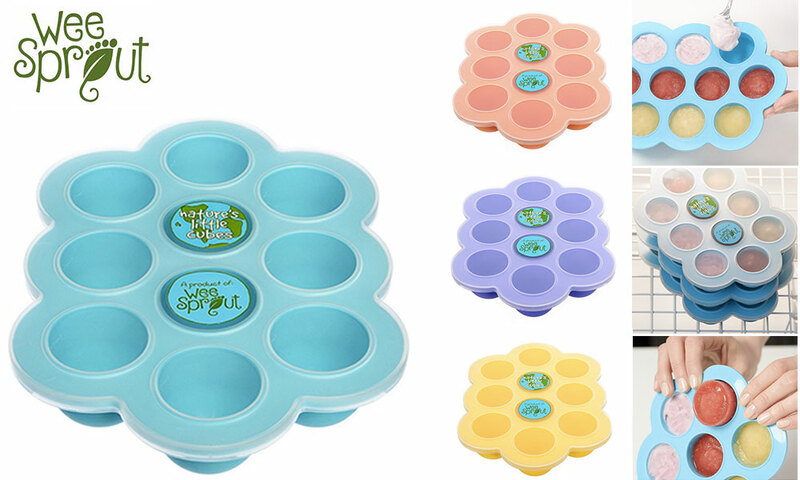 Try for free a Baby Food Freezer Tray from Weesprout! Become a parent tester with ConsoBaby. Baby Food Storage Made Simple & Safe! - Individual servings pop out easily. - Hard plastic lid snaps on with ease and allows for convenient stacking of freezer trays. - Each 1.5 oz section also has a 1 oz. mark for smaller servings. - Lid keeps frozen baby food fresh longer. You need to have at least posted 3 reviews in the last 3 months. If you haven't posted a review recently, let's go ! Selected members will receive an email. 5 Baby Food Freezer Tray to try! Chosen members will receive an email. To ensure you are notified if you are selected to try a product, please add this address: amy@consobaby.co.uk to your email contacts. You must be active on ConsoBaby! The more quality reviews you leave (3 at least in the last 3 months), the more likely you are to get selected. If you haven't posted a review recently, let's go! ConsoBaby is based on parents helping each other: by posting your opinion about your own baby products (pushchair, car seat…) you can help other parents to make the right choices.